FRESNO, Calif. (KFSN) -- It's a full ballot for voters in Fresno County, here is the latest on who's running against who, what measures you voted on and other important races in the County. ABC News is projecting that Miguel Arias will defeat Tate Hill. Right now, with all precincts reporting Arias appears to be taking the race with 57-percent of the vote. That number may change a bit with some mail-in and provisional ballots that still need to be counted. The Fresno City Council race in District 5 is going to Luis Chavez. District 3 includes West Fresno, Downtown, Tower, West Area and Cultural Arts District. Hill describes himself as a candidate that lives, works and worships in District 3. His campaign ran on the beliefs that the community needs someone with heart, someone who listens, someone who is a collaborator, someone with values, and someone with "real experience." As for Arias, he says he spent his youth as a farmworker in West Fresno County and ultimately made his way to the United State Congress working as a legislative aide for Congressmen Cal Dooley. Some of his campaign themes include building a new West Fresno community college campus along with creating more local jobs. He also wants to make sure that police officers and firefighters get the resources they need. With 100 percent of precincts reporting, he looks to be the significant winner over Paula Yang with 62 percent of the vote. She took about 38 percent. We were with Chavez as he saw the first numbers and he was definitely relieved and full of smiles. He said the results indicate the hard work he put into a lot of campaigning. ABC News is projecting that Nelson Esparza will defeat Brian Whelan. Action News reporter Sontaya Rose spoke to both candidates. District 7 includes parts of Central Fresno, Northeast Fresno, Northwest Fresno, and Southeast Fresno. Whelan says he's been living in the District for nearly a decade and graduated as Valedictorian from San Joaquin Memorial High School. Some of his campaign themes include keeping neighborhoods safe, as well as creating new jobs and keeping the neighborhoods clean. Esparza is currently an instructor at Fresno City College and has spent time on the Fresno County Board of Education as a Trustee. He says if elected he wants to focus on building a better economy, ensure the safety of those living in District 7 neighborhoods, and focus on the concerns of those who live in the district. Measure A would have cannabis sales taxed with revenue dedicated to the city's general fund. It needed a 66 percent majority to pass. With 100-percent of the votes in it has 69-percent support. The city council will now work on setting a tax rate to compete with other cities. Supporters say the rate should avoid sending consumers of cannabis out to purchases on the black market. The 3/8 percent tax to improve Fresno parks needed a 66-percent majority to pass. With all of the precincts reporting the measure looks to have gone down with 51-percent of voters saying "no." The tax would have brought in more than $30 million over three years. 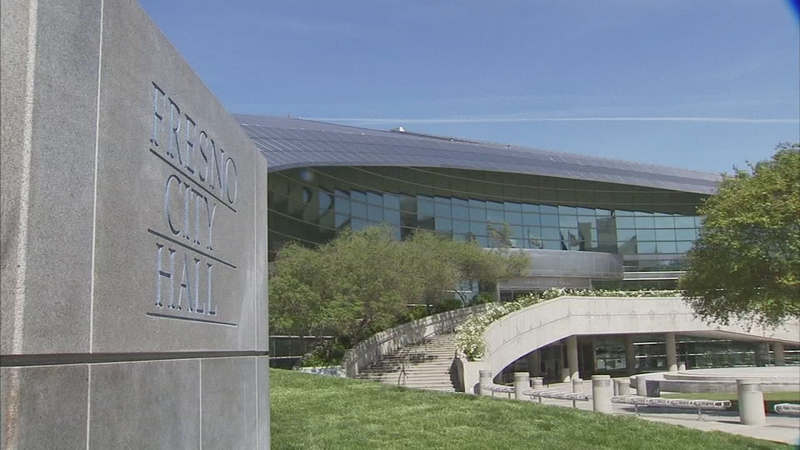 It was supported by former Fresno mayor Ashley Swearengin but opposed by current mayor Lee Brand. For a full list of results for Fresno County click here.